With a growing market scenario and retail trade contributing 9-10 per cent to India’s GDP, India is poised to be the next retail destination. The 10-12 per cent increase in the economy’s disposable income can be seen clearly by the way goods and services are being brought and sold. There are more malls, more shopping arcades, more brands and yes, more people who want to shop. Not many retailers realise this that a consumer is actually a walking talking free-of-cost marketing tool. Please the consumer and you have a ready advertiser at your disposal. The age of retail has arrived in India and the increase in the number of outlets of exclusive brands and luxury goods is further fuelled by the consumer’s desire to get the best quality with no qualms at having to pay a handsome price for them. The consumer chooses the retailer, the reverse is not true and a retailer should know this. But how a brand can attract a consumer’s interest can be something that a retailer can work at. G Pandrang Row, Vertebrand says, “A brand is a bundle of functional benefits and added values that some people value enough to buy into repeatedly.” The key phrases here are value enough and buy into repeatedly. It is crucial to understand the emotion of a customer. (S) He goes into a store to buy a product and will return to buy it again only if a sense of delight/satisfaction has been felt, only if (s) he has valued that experience enough to shop again at the same store. This value, an intangible yet real commodity stems from the way a consumer is treated and how the consumer feels after that treatment. 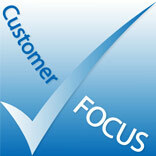 For the consumer to choose the retailer repeatedly, ensures that this treatment is worthy enough for a re-visit. Gaining an insight from data collected in-store can help greatly towards customer-centric retailing. Shopper’s behaviour, preference of products, buying attitude and decisions are vital clues of figuring out what the customer wants. To not invest in gaining this data is foolhardiness and can amount to neglecting the consumer. Equipped with customer-centric data, a business can develop a keen sense of how to shape their marketing strategy and decide on what kinds of merchandise to house. It is a valuable tool and must be made full use of. To quote a famous and recent example, even ‘Rocket Singh’ from the movie ‘Rocket Singh – Salesman of the Year’ believes business is not about numbers, it is about people. Customer-centricity is not something new, although modern retail would like to believe so. It is a means of achieving customer loyalty with the overall benefit of a good turnover, established brand name and market visibility. Putting people first not only shows character but also the dedication of a retailer to his business. Work, after all, is worship.